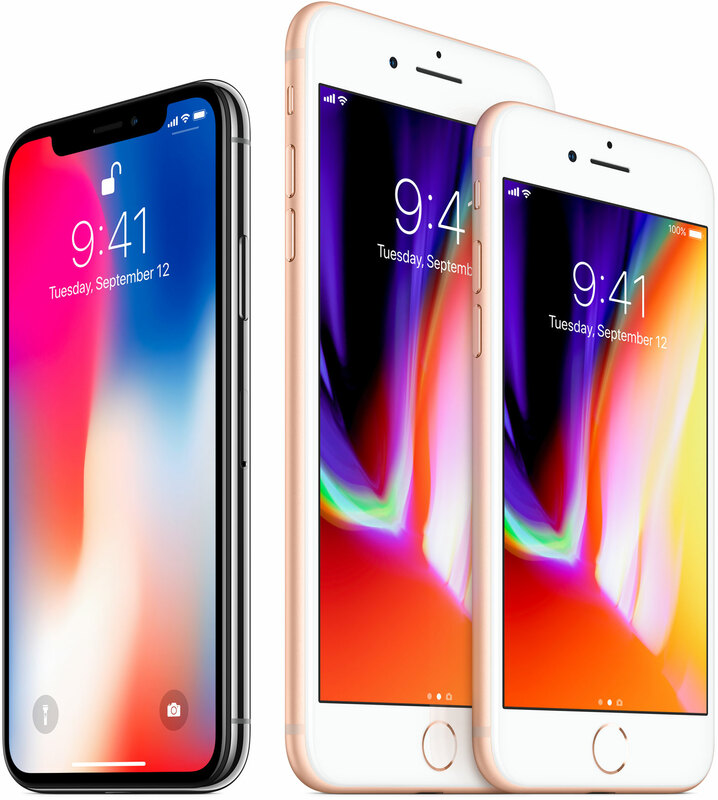 Apple’s new iPhone X, iPhone 8 and iPhone 8 Plus have hardware codec support for FLAC, a lossless audio format. iPhone 7 owners will be able to enjoy FLAC-encoded audio with iOS 11. Free Lossless Audio Codec (FLAC) brings the full quality of the original recording via lossless compression of digital audio at the expense of storage and bandwidth. The format cuts the file size to circa 50-60 percent of the original without degrading audio quality. HomePod won’t initially support the FLAC audio format, according to the official technical specifications, but Apple could theoretically enable the feature via a future firmware update. Analyst Dan Matte first reported that the new phones support FLAC playback in hardware, resulting in accelerated performance that doesn’t tax the battery much. iDB reported in the summer that FLAC playback would come to select devices as part of the iOS 11 software update, and now we know a bit more how that might play out. Apple’s Audio Playback section on the Tech Specs webpages for iPhone 7, iPhone 8 and iPhone X clearly spells out support for FLAC, as evidenced by the screenshot I’ve included below. Curiously, FLAC support is nowhere to be seen on specs sheets for the new iPad Pros. By the way, support for the AIFF and WAV files is missing from the iPhone 7, 8 and X tech specs but those audio formats are now probably covered by the Linear PCM codec. The lack of FLAC support on the new iPad Pros is interesting because they use virtually the same chip as iPhone 7. Apple’s probably prevented software-based playback of FLACs on devices that lack a hardware decoder in order to preserve battery life. FLAC decoding is pretty CPU-intensive and doing it in software is taxing on the battery. Playing back FLAC audio files is limited to iOS 11’s Files app. I was able to play FLACs back on my iPhone 6s with prior iOS 11 betas. On iOS 11 GM, I can enjoy FLACS on an iPhone 7 but have lost the ability to do so on my iPhone 6s. Apparently, Apple’s removed a software-based FLAC fallback from older hardware. It’s also unclear what system requirements for FLAC playback might be. Still, we can infer from the official iPhone 7/8/X requirement that a hardware codec requires an Apple A10 chip or later. We’ve reached out to Apple for clarification and will update if we hear more. But why doesn’t iOS 11 enable FLAC playback on the latest iPad Pros? After all, they run an even faster version of the iPhone 7’s A10 Fusion chip that has more cores? I’d wagger they’re slowly adding FLAC support to iPhone before rolling it out on iPad Pros. No matter how you look at it, this is great news for audiophiles. My biggest gripe with iOS 11’s FLAC implementation has to do with the overall clunkiness because the Files app seems to be the only sanctioned system-wide solution for playing back FLAC audio (unless you use a third-party app such as Vox or Plex). 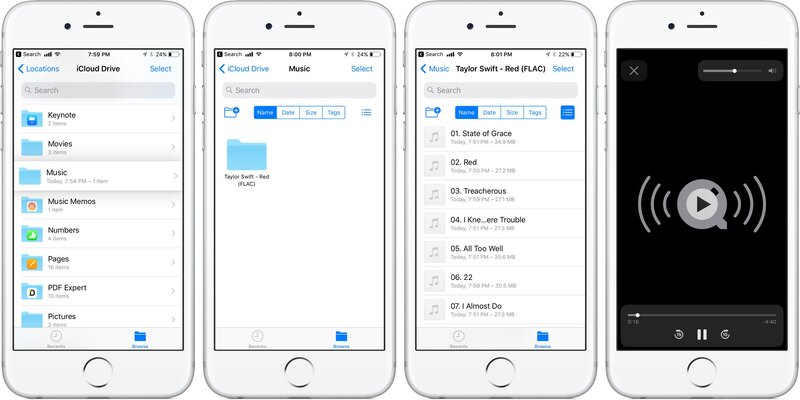 If you use iCloud Drive, Dropbox, Box, Google Drive or any other cloud-storage service that has an appropriate iOS Document Provider extension, you can play your cloud-based FLAC audio from within the Files app. Sadly, FLACs are currently unsupported in iOS 11’s Music app. While rudimentary, Apple’s embracement of the FLAC audio format hints at broader compatibility down the line. For instance, Apple could add support for studio-quality (16 and 24-bit) FLAC files and bring FLAC audio support to the Music app and desktop iTunes so that we could sync FLACs with our iPhones and iPads. At the moment, Apple doesn’t use or sell FLAC-encoded music on iTunes Store. iOS and iTunes have supported Apple’s own Lossless codec (ALAC), but it’s failed to gain traction. Keep in mind that FLAC playback over Bluetooth headphones, AirPlay, AirPods or other W1-enabled headphones) is still lossy due to AAC audio transcoding. To enjoy lossless FLAC playback without transcoding, you’re recommended to use high-quality Lightning-enabled headphones. Apple’s official release notes for iOS 11 don’t mention FLAC at all, but the company’s changelogs typically omit minor improvements so don’t read too much into it. In fact, FLAC support in iOS 11 isn’t debatable—according to the official “What’s New in Video” WWDC 2017 session, iOS 11’s improved Audio Toolbox framework brings support for two of the popular formats, FLAC and the Opus format. macOS High Sierra omits support for the FLAC audio format though third-party media players come to the rescue, including VLC Media Player, WALTR and others. iOS 11 will start rolling out to customers from next Tuesday, September 19, 2017. © 2017 Copyright TechFux.com. All Rights reserved.